This article of mine just got published on the fabulous Mind Body Green over the weekend. I’ve done some research about tahini. For those of you who aren’t familiar with tahini (or as the Israeli’s and Arabs call it: tahina), it is ground and crushed sesame seeds. Similar to almond or peanut butter in its consistency, tahini is now being considered a super food (I still cringe as I write that word. It’s all about eating sensibly and back to the basics – without fillers and without being stripped of natural minerals. But I digress). Nourishing, high in copper, calcium, iron fiber, and more, these tiny little golden and black seeds may help lower cholesterol. And they taste good. 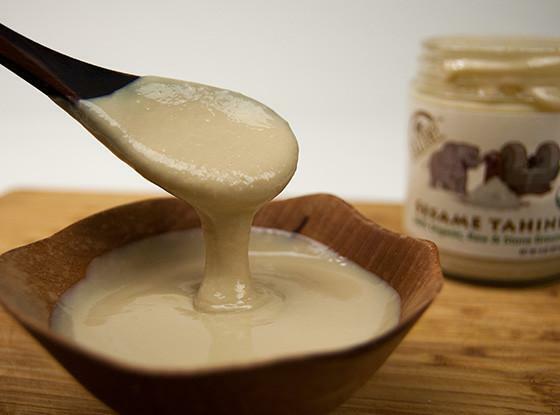 Tahini is an extremely versatile paste that can be made savory or sweet, depending on the recipe. Tahini is the staple ingredient behind your favorite hummus recipe. But if you are bored with hummus, check out these other tasty, iron and copper-rich foods that will have you as nutty over sesame seeds.